Episode 19 of Inside BU Hockey features Bernie Corbett’s interviews with Coach David Quinn, senior Nick Roberto and former Terrier standout and current Buffalo Sabre Evan Rodrigues. Roberto, one of three BU seniors, has 12 points this season and currently is playing a top-six role. Prior to BU, he played two season at Kimball Union Academy as a teammate of Terrier captain Doyle Somerby. He was the first player Quinn recruited after being named as Jack Parker’s successor. Rodrigues scored 121 points in four seasons at BU, including 61 as a senior—second best in Division 1—to help BU reach the 2015 national championship game. His strong second half earned him Hockey East Player of the Month honors in both January and April. 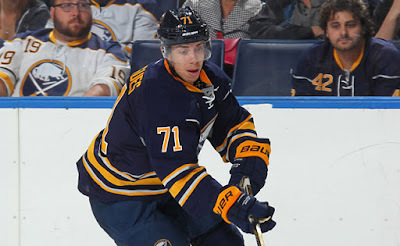 Recently called up to Buffalo from AHL Rochester, he scored two goals and two assists in his first eight games. 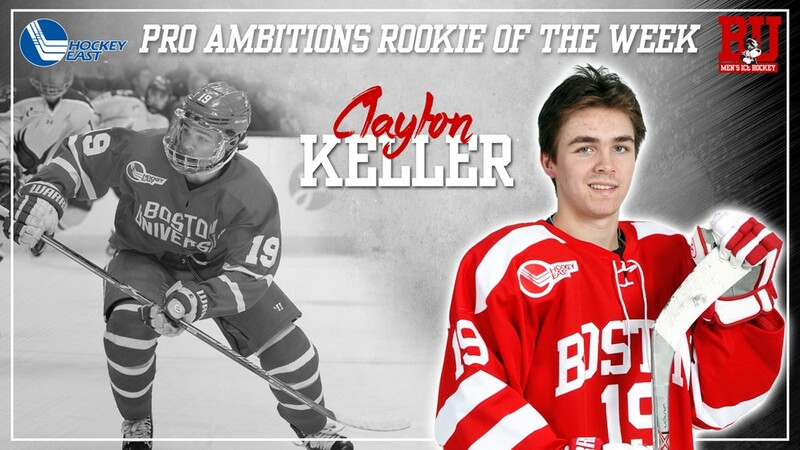 Freshman Clayton Keller was named Hockey East’s Pro Ambitions Rookie of the Month for February. It was the third consecutive month that the dynamic forward from Swansea, Illinois has earned that honor. In February, Keller had 12 points (7G, 5A), including two goals and an assist in the final weekend series against Notre Dame that brought BU a share of the regular-season conference title. He leads the nation’s freshmen in points-per-game with 1.46. Jack Eichel scored his 15th goal and assisted on two goals as Buffalo doubled up the Coyotes, 6-3. Former Terrier captain Wade Megan is the AHL co-leader in goal scoring with 25 for the Chicago Wolves, a Blues affiliate. He’s also fourth in the league in points with 49, one more than another former Terrier, Chris Bourque. Ahti Oksanen scored two goals and assisted on a pair of goals to lead ECHL Greenville to a 7-5 win against Orlando. Oksanen now has a 17-18-35 scoring line in 38 games. 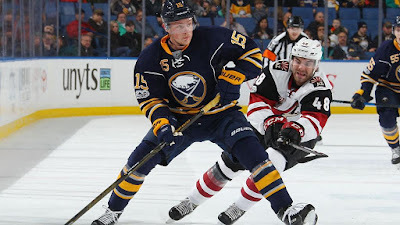 Of all the deals made during the week preceding the NHL trade deadline, none was more impactful than the one that brought former BU captain and US Olympian Kevin Shattenkirk from St. Louis to Washington. Now in his seventh NHL season, his career stats are 66 goals and 218 assists. Shattenkirk’s new home, the Verizon Center in D.C., is the site of the Terriers’ 2009 national championship win over Miami, 4-3 in overtime. The right-shot defenseman set up Colby Cohen’s game-winner. So thrilled to announce I'll be joining @westwood1sports for the call of the @NCAAIceHockey Frozen Four! Cannot wait for it!